With Easter only a few days away, are you still looking for last minute basket suffers? Just in time for the Easter Bunny, comes the Limited Edition HEXBUG Nano Easter Egg dressed and ready to hop right into kids’ Easter baskets! 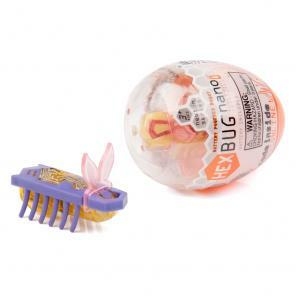 Each limited edition HEXBUG Nano Easter Egg is packaged in a Easter egg and comes fully decked out with a pair of mini removable bunny ears. What is a HEXBUG Nano? The Robotic Creature that behaves like a real bug! How small can you go? Using common locomotion principles Innovation First set out to make a really small HEXBUG that gave the appearance of being smart. How will it react when it encounters an obstacle? What happens if it gets turned over? The first prototypes of the Nano were inspired by the old vibrating football games. More recent examples of vibrating motion are the BEAM Vibrobots, and then the Bristlebots. Thirty some iterations, a few years, and dozens of designs later the Nano was born. To give just a taste of how much development went into this product, they engineered and rapid prototyped over 150 variations of legs alone. How it works. The motor inside the Nano rotates a counterweight that causes forces up and down. The down force causes the legs to bend and the Nano moves forward. The up force causes the creature to hop lifting the front legs off the ground and allowing the legs to unbend. This up and down movement repeats several hundred times per second causing the Nano to move forward. The Nano creature's ability to flip over by itself is due to the rotating forces caused by the motor and the unique internal and external chassis design (and a little magic). 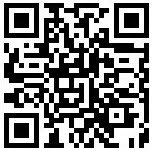 Every Nano includes an exclusive access code that allows you to track your Nano collection, play games, and learn about real science! All the unwanted Turkish a component Larnaca is normally populated with broadcasters and additionally dwellings, various buildings to make sure you tag heuer replica sale a portion of the oldest crafting using this remote island, which have a high long lost the past. You will see pita-bread develop, blacksmiths, and additionally candle-makers roughly cheek just by jowl by means of cutting-edge sequence model outlet stores seen just by life girls having fun with just a day apart. Larnaca certainly is the embodiment about Cyprus' blend of all the long lost and additionally rolex replica sale today's, along with the cutting edge terminal transfer symbolizing a fabulous treasure about cutting-edge type. The most important for the types was first constructed in the past for 1928, however, the key financial success message for the unit have not completed ever since then, and additionally went relating to growing for steps and additionally range. Really ever since signing up europe for 2004, Cyprus has developed into a primary Mediterranean sea travellers choice, and better when compared to 5 million dollars discuss many people one year develop Hermes Larnaca Airport terminal. All the terminal transfer 's still undergoing dominion, even if a good deal of hublot replica sale all the dominion packages established for 1998 had been executed, just as cutting edge manipulate podium, runway file format, and additionally terminate network.